There’s a lot of talk about financial fitness these days, and rightly so. We have more material things than ever before, and yet financial stress is everywhere. It’s little wonder that people are getting sick and tired — literally sick and tired — of worrying about money. Research by ASIC and EY Sweeney¹ confirmed that 36% of Australians find dealing with money stressful and overwhelming. 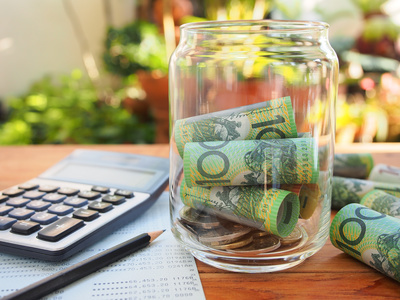 Additionally, a quarter of Australians believe nothing they do makes much of a difference to their financial situation. Employers are jumping on board, too. Workplaces are increasingly offering financial wellness programs as part of their employee benefits. There’s recognition that a financially healthy workforce is more motivated and productive. “MyBudget has always been at the forefront of the financial fitness movement. In fact, when it launched nearly twenty years ago, people said there would be no demand for budgeting services. Budgeting was too boring, they said. Having helped over 75,000 clients, MyBudget continues to prove them wrong,” said founder and director of MyBudget, Tammy Barton. Local Miranda mother, Rosemarie Newman, is joining the financial fitness revolution. After failed resolutions before, she is now understands her previous downfalls, which were mostly around not having the support and discipline needed to make difficult changes. “I have previously failed because we didn’t have the structure and support we needed. We had credit cards, owed school fees for our child, and had a loan. I was stressed and worried all of the time. We now have the help we needed, and are saving for a unit, and a holiday to Canada in five years. Being financially fit has helped us eliminate stress, helps us sleep well, and we enjoy our life and lifestyle,” commented Rosemarie Newman. But budgeting isn’t always easy. Most people learn their money skills from friends and family, which can result in all sorts of mixed up ideas. Plus, budgeting goes against the very grain of consumer society where the drip-feed message is to spend now and worry about the consequences later. So, for lots of people, getting financially fit means changing how they perceive money and relate to it. So how do you get financially fit? It’s not achieved by looking at your bank statement once a month. Your financial fitness level is the sum of your daily money habits. “That’s MyBudget’s vision for the financial fitness revolution — a world where you have the right information, structure and support at your fingertips to live a financially fit and abundant life,” continued Tammy Barton. Are you a member of the financial fitness revolution? What are your financial goals for 2018? Will you be saving? Paying down debt? Kicking bad habits? Take the time now, because in a year from now, you’ll be wondering why you didn’t start getting financially fit sooner.